"It's been a long time." Had a really crazy time with work but I've neglected this blog. 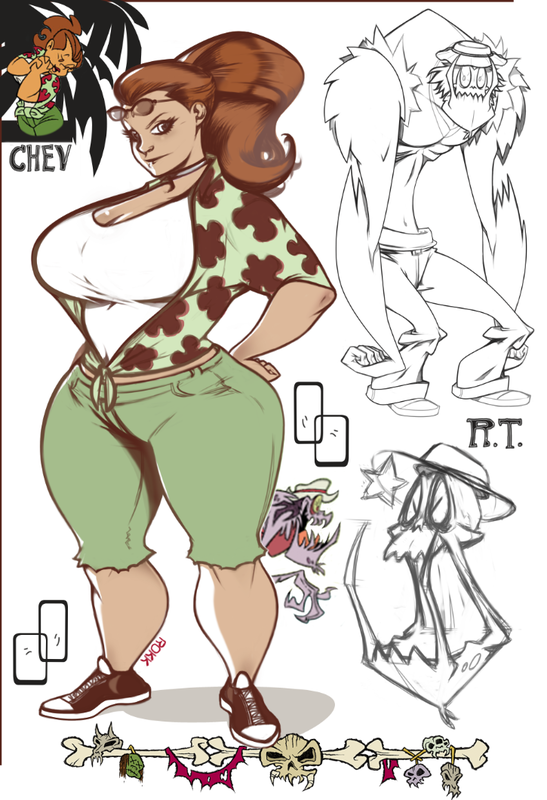 Gonna be posting stuff that I've worked on over the next couple of days so there'll be a steady stream of stuff for the next couple of days. This is or Stephanie Gladden. She runs a book called. duh DAH http://www.girlsofmonsterparadise.com/ Yup "the Grrlz of Monstuhz Par-dice". I loves me so me some Big ole Women. Chevelle was an immediate win. 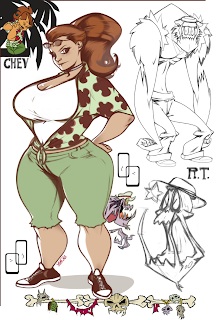 Thru in a sketch of Her Monster R.T. What could be better than a lovely curvy woman than Buck wild monster to go with her. Cheers!